Here at Central Coast Caravans we specialise in repairs and maintenance of caravans and motor homes. From total rebuilds to small renovations we can cater for all your caravanning needs. We carry out Insurance Repairs to all major companies and can come to your house for insurance quotes. We can also handle all warranty concerns for the major caravan companies. We are the Central Coast's Jayco Service agents so there is no need to travel to the place of purchase to have your servicing or warranty taken care of as we can do all that for here in Tuggerah. Central Coast Caravans also specialises in supplying and installing Solar Panels and Battery Packs to keep you independent and off road for longer. Our Solar panels come with a 25 year guarantee to ensure you that your investment will last. With more than 35 years experience in caravan repairs, refurbishment and upgrades, plus a wide range of accessories, includingbut not limited to, satellite dishes, antennas batteries and solar panels, Central Coast Caravans is here to serve you best. We also offer a great service inspection on your caravan which will make sure that your caravan is in good travelling condition, our service starts with the inspection and adjustment of all your running gear ,i.e., Brakes, Magnets, Suspension, tyres, chassis etc, then we move up to the body of the van where all the weather seals are inspected for water leaks and deterioration. We also check your plumbing i.e., Hot water system & water tanks to make sure everything is in good order. We then lubricate all the required points , i.e., Awnings, stabiliser jacks, jockeys, etc. Basically we make sure that your caravan is well looked after and advise on any work that maybe required to look after your investment. With more than 35 years experience in caravan repairs, refurbishment and upgrades, plus a wide range of accessories, including but not limited to, satellite dishes, antennas batteries and solar panels, Central Coast Caravans is here to serve you best. Customer satisfaction is not a statement Central Coast Caravans take lightly. We have always prided ourselves in giving 150% to any project - large and small. We're proud of our track record, and when it comes to repairing damaged caravans, our hundreds of satisfied customers can testify to that. This is why we can now proudly claim to be the longest serving caravan repair workshop on the coast. We started repairing onsite caravans 25 years ago under the name Raydon Caravans. It's through this "maintenance" style of work that we perfected our techniques and realised which materials are the very best to use. 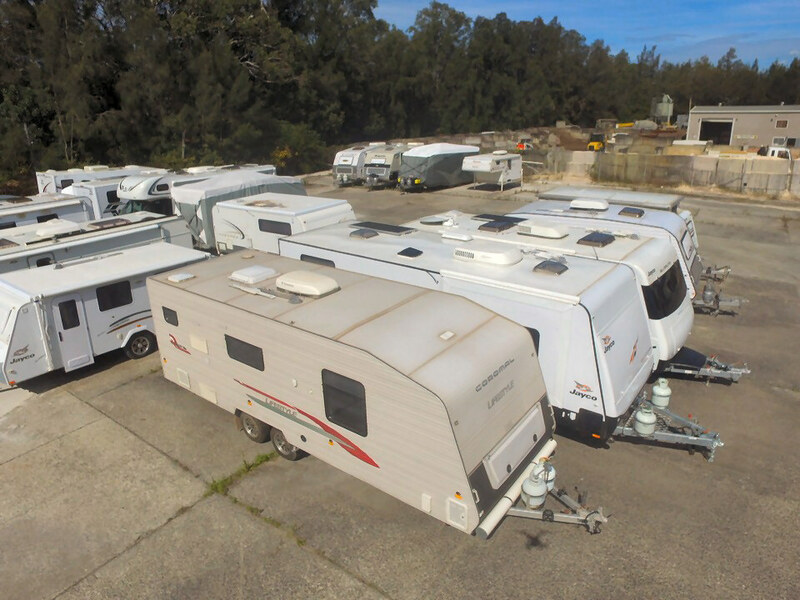 With over 35 years in the caravan industry, Central Coast Caravans have seen nearly all of the major variations in caravan layouts and fitouts.Finding that perfect layout can be extremely difficult and frustrating. Rather than updating your van maybe its time to consider renovating your van. Here at Central Coast Caravans we can bring your renovations to life. Over the years, we have carried out numerous renovations to caravans including, lounge reconfigurations, from L shapes to cafe style, bathroom installments cupboard alterations and bedding reconfigurations, from double to single to complete refits on older caravans. Servicing your caravan is key to a hassle-free holiday. Central Coast Caravans is an authorised JaycoService Centre and can offer you a complete service on your van to insure that you don'tdrop a wheel or have a annoying drip on your head in the middle of the night. We also offer a great service inspection on your caravan which will make sure that your caravan is in good travelling condition, our service starts with the inspection and adjustment of all your running gear ,i.e., Brakes, Magnets, Suspension, tyres, chassis etc, then we move up to the body of the van where all the weather seals are inspected for water leaks and deterioration. We also check your plumbing i.e., Hot water system & water tanks to make sure everything is in good order. We then lubricate all the required points, i.e., Awnings, stabiliser jacks, jockeys, etc. Drop off and pick up your van with our concierge parking service - there's no need to be concerned about other people's reversing abilities around your caravan, as we will store your van for you. Call us on (02) 4353 1895 and we will have your van out and ready to be picked up for collection. We can offer to have your van fully or under carriage serviced for you before your trip and your fridge ice cold ready for packing.